Take US 101 North over the Golden Gate Bridge for 20 miles to CA 37. Go about 7 miles on 37 and bear left on CA 121. Just past the raceway you’ll see your first Sonoma Valley vines. After about 6 miles, 121 hooks to the right – follow the signs to Sonoma/Napa. In a little less than a mile, take a left on Broadway/CA 12. 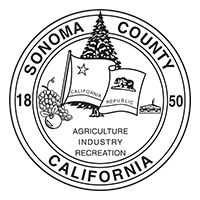 Keep going north to the town of Sonoma and up through the Sonoma Valley.